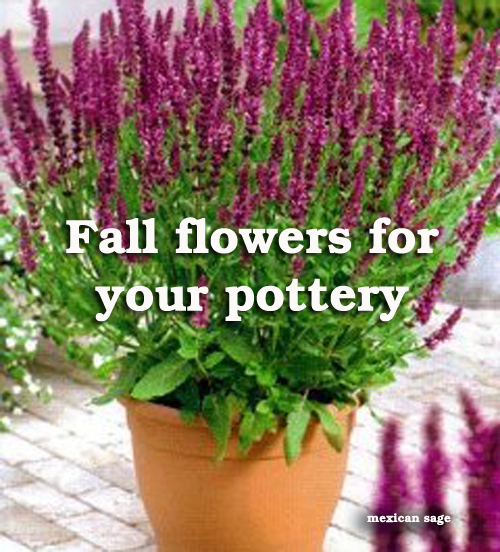 Don't leave your garden planters empty this fall. Here are a few types of flowers that are recommended for potting that will add color and beauty to your garden or patio areas! 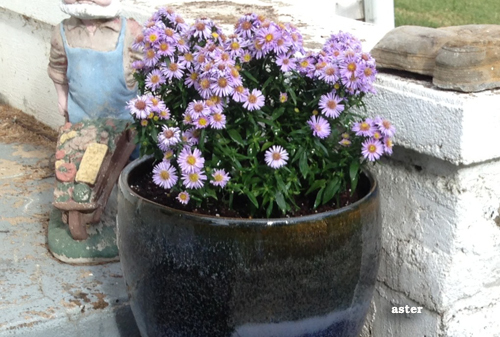 Aster: New England aster bears loads of pink, blue, purple and white flowers. Butterflies love them. Toad Lily: Need shade so they are perfect for fall with orchid like flowers that bloom till mid fall. Goldenrod: Cheery yellow flowers that are tough yet lovely. Grow to 4 feet so use a big planter. Russian Sage: A great purple flower to add to your pots instead of the usual fall foliage colors. Colchicum - big cup shaped blooms will fill any planter and will add color with white or pink. Sedum: A most popular flower for autumn containers. Grows to 18" tall. Red Spider LIly: A truly exotic bulb that burst with bright red flowers. Love the spidery clusters! Japanese Anemone: Large poppy shaped pink or white flowers that stand tall in any planter. Turtlehead: A funny name but a beautiful white or pink bloom with glossy green foliage. Monkshood: Beautiful blue that adds to the yellow and orange of fall flowers. When you have a lovely garden or patio area planters, you need to keep it looking great during the fall season. 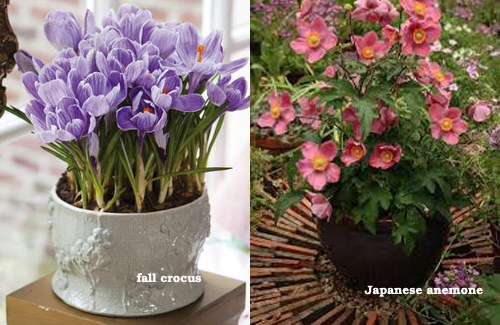 Hope these suggestions will help you choose the best flowering plants to add that extra finished look to your fall planters! Read more.....Let in Autumn - Bright berries, flowing grasses. Read more..... Consider Climate when planting containers.